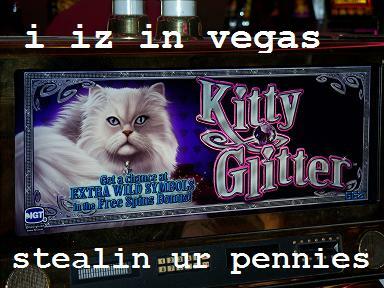 We played this penny slot game two days ago because we thought it was LOL cats funny. But this kitteh was not funny. 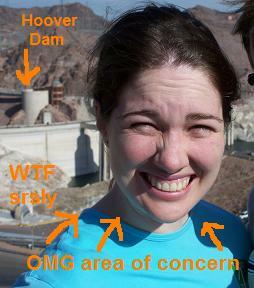 AWTM did not believe me when I said I took the worst picture of my entire life yesterday at Hoover Dam. For real, I did. Every time I look at it, I die laughing. It is so hideous; I have no idea how it happened and I sincerely hope that I never ever look like that during the course of a normal day. I blame the sun. And because I am a blogger who strives to strike the perfect balance between narcissism and self-deprecation, I am going to share it with you. It is too funny not to. My husband was scrolling through the pics on the camera and stopped at this one, traced a circle around my face with his finger, and said aloud, "Area of concern." 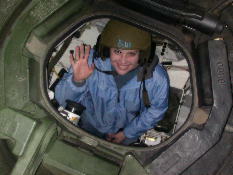 Photo after the jump, because it needs to come at you like shock and awe. I told you it was hilarious. 1 It is? My reaction was, that's it? That's the picture? I don't think there could be a bad picture of you. Bad sun! I hope you've been wearing protection. 3 That is funny cute! So the sun was very bright, you just can't hide that cuteness. If that is the worst picture evah you are truly blessed. 5 You do not look like this routinely. Take, for instance, that photo from M2's birthday party where there was SO MUCH sun and we both avoided squinting (and now have the burned retinas to show for it). I loved the kitty slot photo. That made me laugh more than the Hoover Dam photo for two reasons. 1) I said kitty slot in my head and 2) the editorial comments on the photo made me laugh. 6 That's awesome! And that's why we like ya ... ya share the good and the bad! 7 I would not have recognized you from that photo. 44kb generated in CPU 0.17, elapsed 0.3851 seconds. 49 queries taking 0.3351 seconds, 204 records returned.